When you just want the best bump-eating suspension quality possible no matter what, there still isn't a match for the age-old coil spring. And we'd know - we've been at the forefront of air spring development for years, pushing air spring performance closer to that of coils. We present to you the Smashpot - a fork coil spring conversion system for singlecrown enduro forks, featuring externally adjustable hydraulic anti-bottoming technology to deliver precisely the amount of bottoming resistance you need. Air springs have gotten better and better over the years, and they've been around for so long now that some people have never ridden a coil spring. Yeah, coils are heavier than air, and for some riders that alone is a dealbreaker - fair enough. The advantages of coil springs, however, are clear:• Zero stiction or friction in a coil spring. And there never will be.• Zero spring rate variation - linear, predictable, supple, supportive and consistent.• Zero moving seals in the spring system to wear out or leak.• Zero effect on spring rate from temperature or elevation. • More bath oil - lubrication and service life are improved.• Day in, day out, the fork just straight up feels good.In short, improvements in sensitivity, grip, compliance, mid-stroke support and consistency, with reductions in harshness and hand pain. Weight aside, air springs outperform coil springs in one critical way: bottoming resistance. Enter the Smashpot. 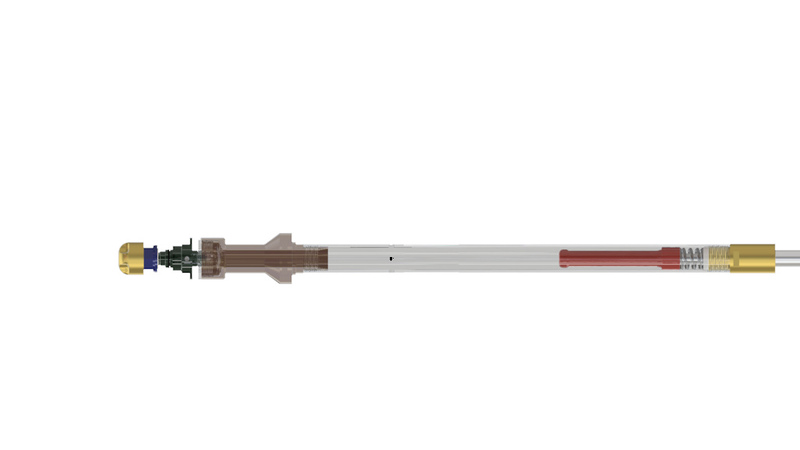 At the heart of the Smashpot is a hydraulic anti-bottoming system that engages seamlessly and progressively over the last 50mm of travel, utilising a speed sensitive shimmed valve to effectively manage high energy and low energy inputs without harshness. 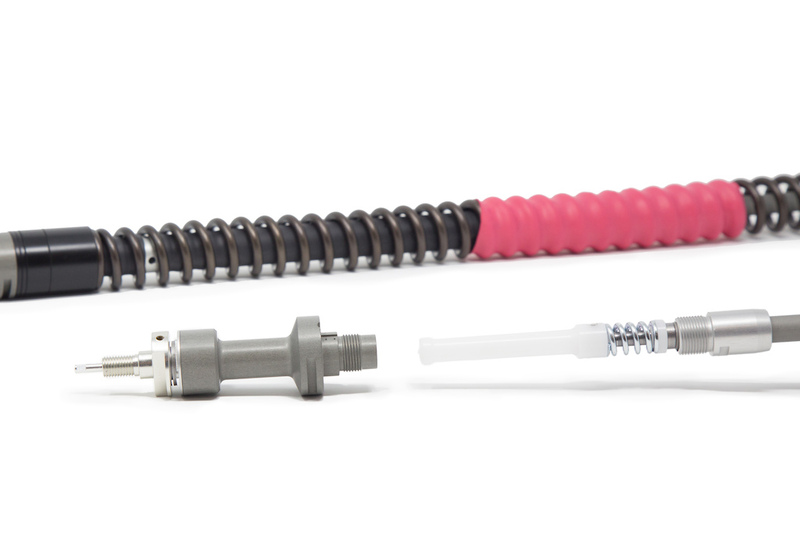 Easy tool-free external adjustment ensures you get precisely what you need. Why go this route?Unlike conventional hydraulic anti-bottoming cones, the longer displacement over which it is effective and its speed-sensitive shimmed valve means the Smashpot can dissipate more energy at lower forces, bringing the fork to a gentle stop at the end of the travel in a smooth, controlled manner. Compared to alternatives such as elastomer or pneumatic bump stops, the Smashpot doesn't involve components physically colliding mid-travel. Unlike air springs and pneumatic bump stops, it dissipates kinetic energy rather than storing it and throwing it back at you, further stabilising the bike. There's no spring stiction, fewer wearing seals, fewer seals to fail, and no need for a shock pump - ever. Smashpot Features:• Compatible with Fox 36 and Rockshox Pike/Lyrik/Yari/Revelation (35mm) forks. Other fitments under development.• 130-180mm travel, internally set using included spacers. • Full tool-free control over bottoming resistance. 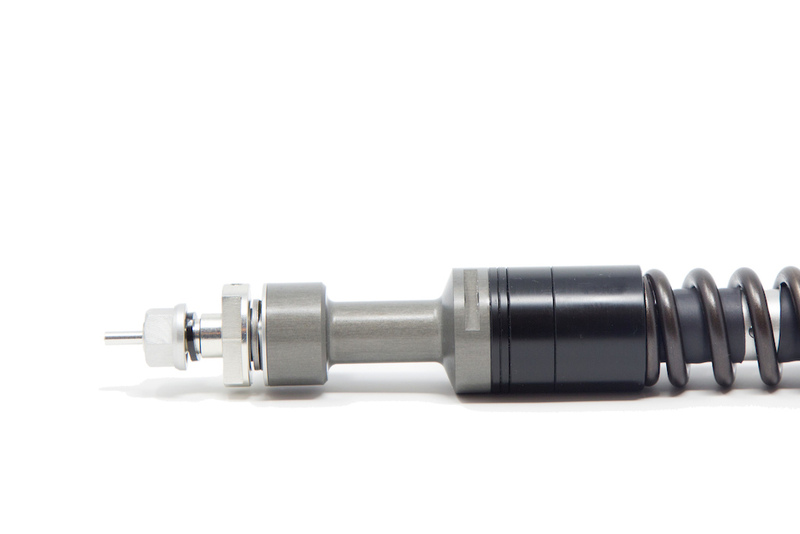 • 11 coil spring rates available, from 30lbs/in to 80lbs/in precision wound in 5lbs/in increments.• Rider weights from 45kg (100lbs) to 125kg (275lbs) catered for.• Universal cartridge kits require only new top caps to be moved between different forks (and foot studs if different fork brands).• Springs are guided and isolated both internally and externally to reduce spring buckling, minimising noise.• Spring guiding system also means less rubbing, less wear and less contamination of the bath oil.• More bath oil for improved lubrication and smoothness.• Cheaper and more adjustable than comparable competing coil conversion kits.• Only coil conversion on the market allowing 180mm travel.• Easy and cost-effective to transfer from one fork to another.• Allows full use of travel even for light, smooth riders.• Prevents harsh bottoming.• Reliable and low maintenance.• User installable.• Designed, developed and manufactured in Whistler, Canada. • Weight increase of between 250-450g (dependent on spring rate and fork). 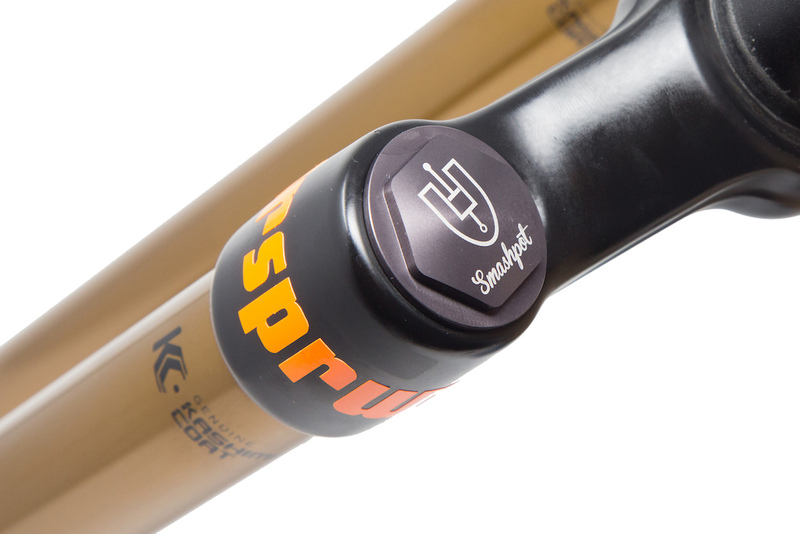 What are the downsides of the Smashpot?• It adds between 250-450g to your fork, depending on spring rate and the type of air spring previously in your fork. If this bothers you, you may be more interested in a Luftkappe.• Going back to air, should you wish to, may not be an option - spring rub may score the inside of your stanchion, so the the piston may not seal again. We doubt you'll want to after riding the Smashpot though!• Changing spring rates requires physically changing a spring, not just connecting your shock pump.• As with any aftermarket modifications, it should be expected to void the fork manufacturer's warranty.• We recommend riders requiring spring rates of 65lbs/in or higher also consider a damper revalve - stock dampers lack adequate rebound control for these spring rates.Our engineering and design are straightforward and no-BS, so we think our marketing should be too: if your first priority for your fork is outright performance, get yourself a Smashpot. Available now directly from Vorsprung or your local dealer. Cooksey, Straight To The Point: Developing or Manufacturing Talent? What do you think? Does Cooksey have a point? Don't forget, you can comment at the end of the article. Let us know. The BC Bike Race is a week-long mountain bike stage race that journeys through old growth forests and along coastal waterways in British Columbia.